My life is truly a complicated world. Things that I do are truly complicated to be figured out. People I surround myself with can be complicated to understand sometimes. Decision that I've to make are complicated and hard to produce. Loving someone for the love is to complicated to guarantee. Doing something for the sake of doing it brings on all the complicated problems. Studying to achieve my dreams is just to complicated to aim and reach. Sometimes I maybe a person who is too complicated to be understood. 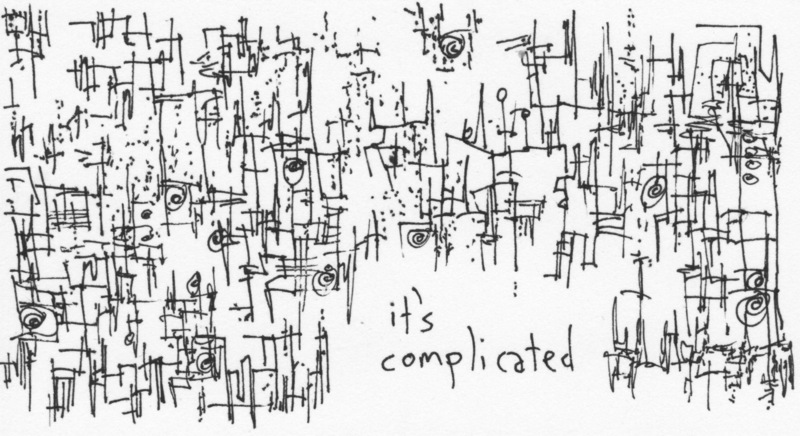 But being complicated can be complicating. The complicated things won't be so complicating anymore. People would understand and you won't be so complicated anymore.